With its short, 5.5" inseam, the Women's Escape Sugar Short from Pearl Izumi is designed to deliver comfortable cycling in warm weather or a sweaty spin class. 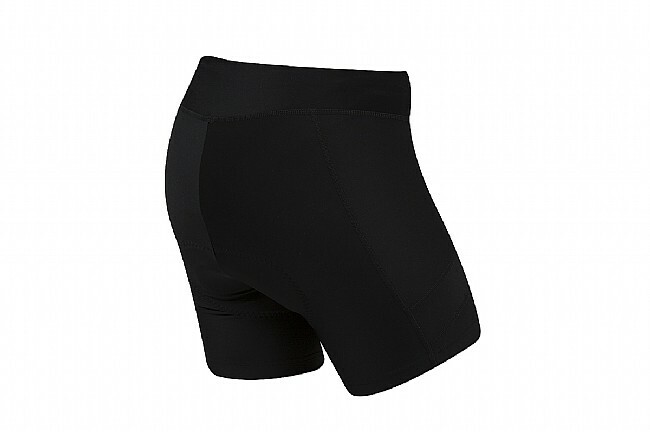 Made of SELECT Transfer Dry fabric, this short offers compression, UV protection (UPF 50+), and moisture transfer for lasting support and comfort. 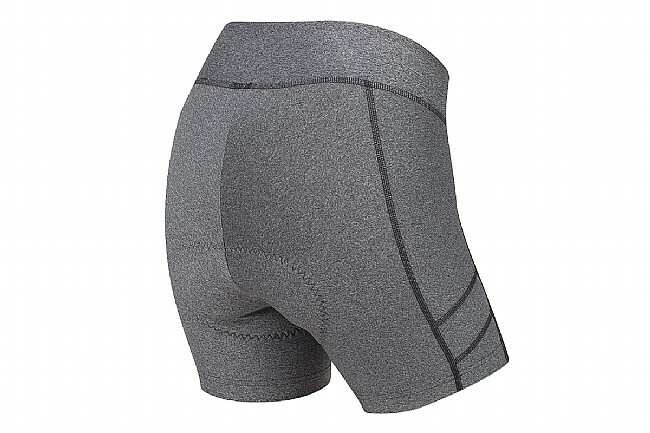 The wide waistband, silicone thigh grippers, and edge-free integrated SELECT Escape 1:1® Chamois serve to further enhance overall comfort and fit. Season: Warm weather (60 to 100°F). Fabric(s): SELECT Transfer Dry (Nylon, LYCRA® elastane, Polyester). Use for cycling, 3-75 miles ride. They have the right amount of cushioning without feeling very bulky. The length is perfect, comes to mid thigh (I'm 5' 1 tall). The material really wicks moisture away from you. Just the right amount of compression. If you are in between sizes I recommend sizing up. I've been very pleased with these riding shorts. I've had a difficult time finding any comfort on the saddle. I've changed saddles several times. I've changed shorts several times. I've been professionally fit on my bicycle. It has been a real struggle to find some level of tolerable comfort while riding. These shorts did the trick. I'm going to order more of these so I can get rid of all my others. They make a huge difference and I love them. Good looking shorts, tight around the thighs. The shorts look good, but they are tight at the bottom and make your thighs look like sausage legs.